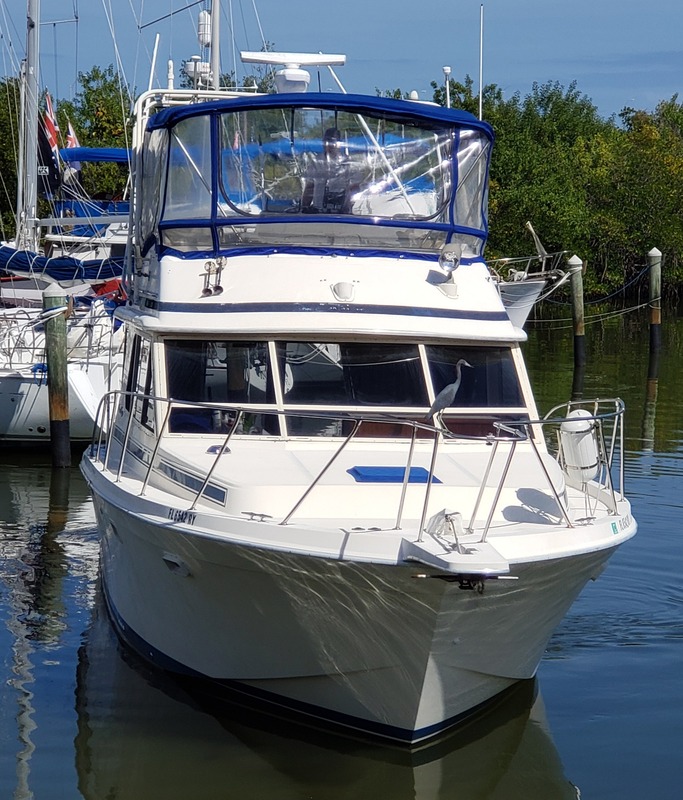 1986 Chris Craft 38 Commander in excellent condition powered by twin Cat 3208 diesel engines with 950 hours and a cruising speed of 15 knots at 1800 rpm's and top end of 25 knots. 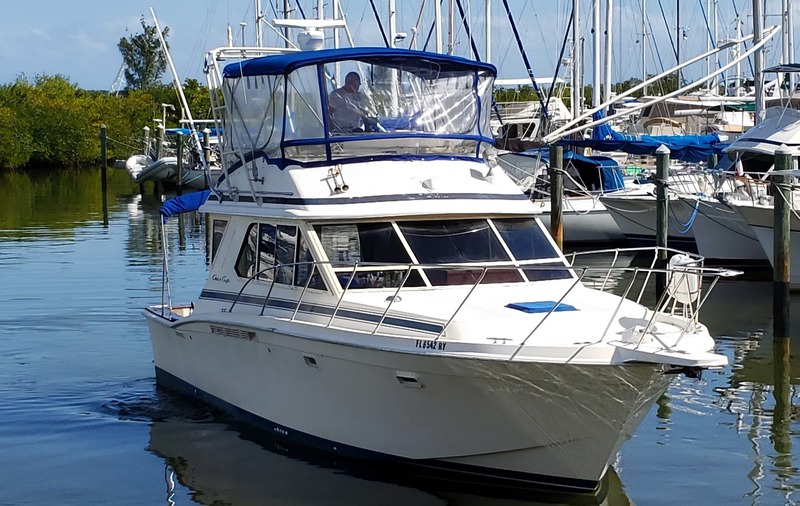 Main salon has ample room for guests along with lots of seating on the upper deck as well as twin captain’s chairs, navigation, engine gauges and brand new Garmin GPSMAP XSV 12” Chartplotter/Fishfinder and live bait well starboard of the rear cabin door. 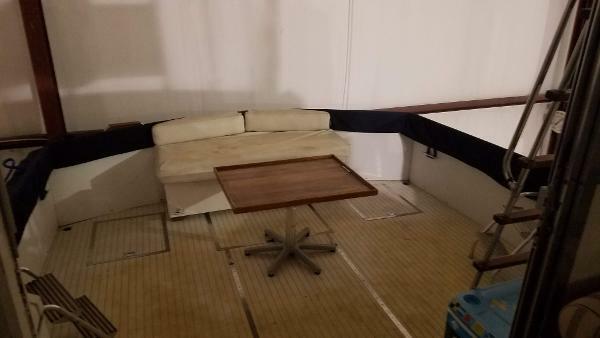 The main salon features two brand new refrigerators and new couch/hideabed for extra guests as well as a brand new two sink/faucet in the galley and featuring ample cabinet storage space. Down the stairs to the large main salon is a marine king size bed with storage closet and built in drawers. 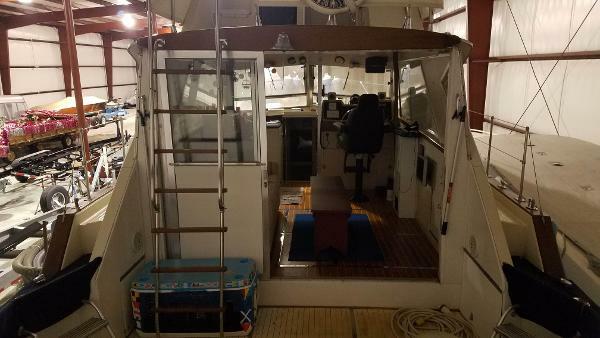 To the port side is the second bedroom with bunk beds, closet and storage shelving. For more information or to view call Greg 509-264-3973 or send text or email. 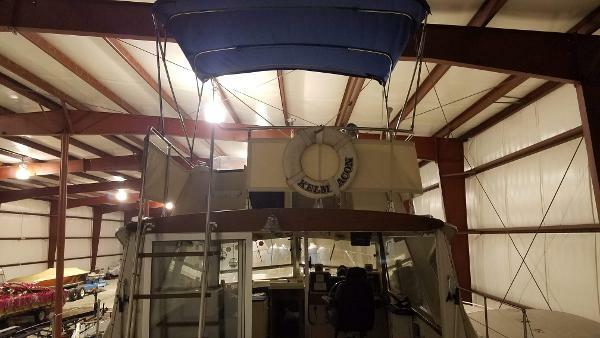 I am usually available to show the boat whenever you are ready to take a look at it.